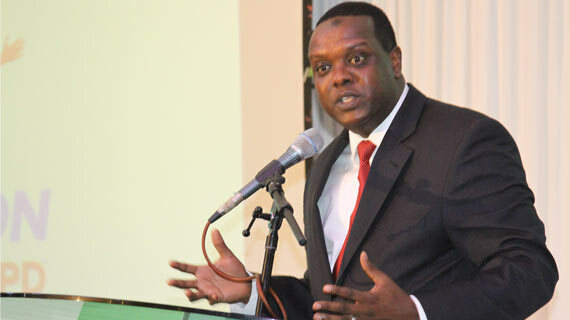 Former Sports Cabinet Secretary Hassan Wario who is currently Kenya’s ambassador to Austria and four other officials who handled Team Kenya at the Rio Olympics in 2016 have been ordered to appear before the Directorate of Criminal Investigations (DCI) by Thursday morning failure to which a warrant of arrest will be issued against them. Wario is among seven officials who were on Monday charged before the Anti corruption court in Nairobi over the misuse of funds totalling to Sh55mn at the Rio Games, but only three of them turned up to court. National Olympic Committee of Kenya (NOCK) Secretary General FK Paul, former Principle Secretary Richard Ekai and Kenya’s Chief de Mission at the Rio Games Stephen Soi were in court. Wario and ex-NOCK chair Kipchoge Keino were charged in absentia and the court has now ordered them to present themselves to the Directorate of Criminal Investigations (DCI) by Thursday to be processed for plea taking. Anti-Corruption court Magistrate Douglas Ogoti said he will issue warrants of arrest against them if they fail to present themselves to police. Wario is in Austria and is expected to fly in to avoid the warrant. In the charge sheet, Wario is accused of using his office improperly to confer a benefit of Sh1.5mn to one Adam Omar by including him in the Rio 2016 Olympic Games Kenyan delegation team which travelled to Brazil leading to loss of public funds. Meanwhile, the Magistrate turned down Ekai’s request to travel out of the country on Monday night as he was set to start his new ambassadorial role. The three who were in court were freed on a Sh1mn cash bail.